The following materials are associated with the article: Deboeck, P. R. & Bergeman, C. S. (2013). The Reservoir Model: A Differential Equation Model of Psychological Capacity. 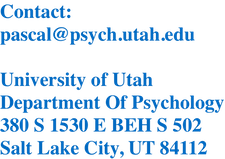 Psychological Methods. 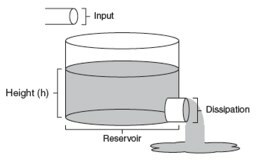 ReservoirMovie1.mov: Example of a reservoir will a low dissipation rate. Height of the liquid in the reservoir (left) is plotted as it changes over time (right). ReservoirMovie2.mov: Example of a reservoir will a high dissipation rate. Height of the liquid in the reservoir (left) is plotted as it changes over time (right).